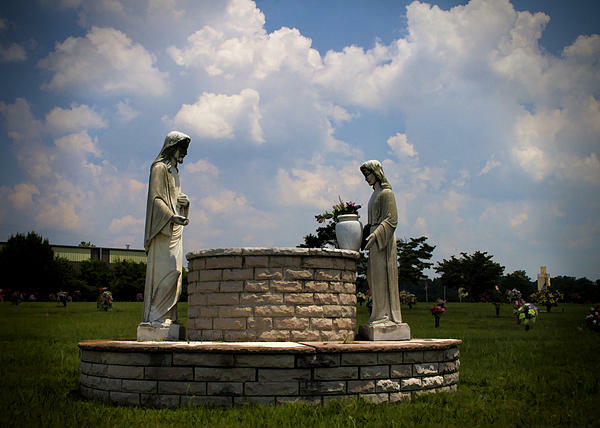 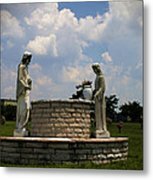 There are no comments for Jesus And The Woman At The Well Cemetery Statues. Click here to post the first comment. 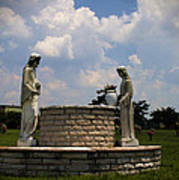 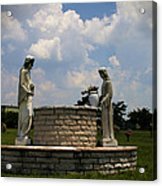 This is a cemetery statue of Jesus Christ and the woman at the well with a blue sky and fluffy white clouds background.